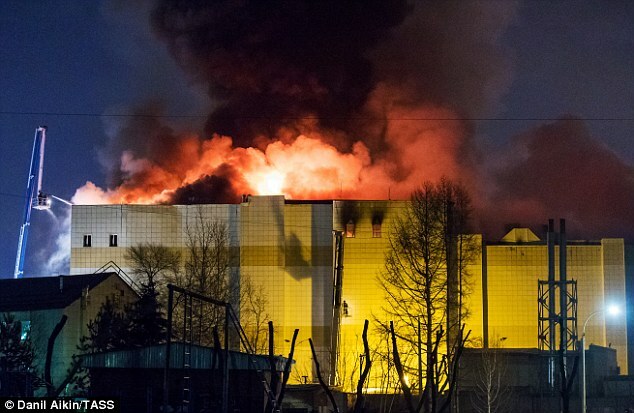 Dozens of children are still missing after Russian mall inferno left at least 56 dead . 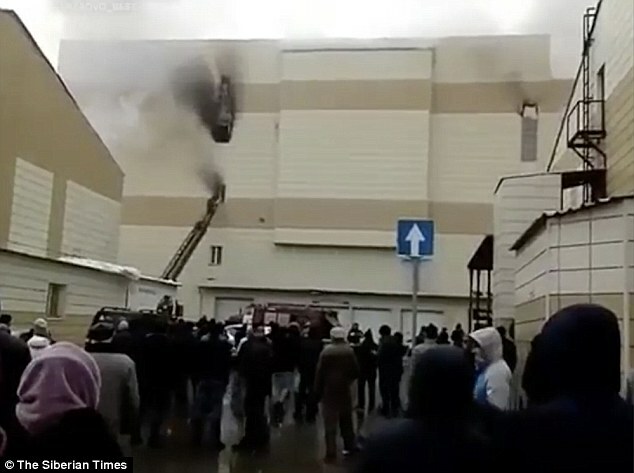 Dozens of children are missing and feared dead and 56 people have already lost their lives after a fire sparked at a trampoline park engulfed a Siberian shopping centre. Scores are dead in the blaze that broke out at the 'Winter Cherry' building in Kemerovo, Siberia on Sunday. Adults and children were seen jumping from windows from several storeys up or throwing themselves down escalators as they desperately tried to escape the flames. The fire is believed to have started in a foam-filled play area inside the building 'went up like gunpowder' before igniting a number of bouncy castles. The latest death toll from the Kemerovo inferno in Siberia is 56 with 47 injured and many still unaccounted for. Pictures emerged of the missing children with little hope that any will be found alive in the carnage of the shopping centre as firefighters struggled to reach the worst-hit areas. A video showed the panic at the start of the tragedy with parents screaming for their children and others shouting 'fire, fire'. Another highlighted fire doors locked and people unable to escape. An 11 year old boy Sergei Moskalenko is in a coma after jumping from a blazing window - a fall seen on video as he hit an awning - and it was confirmed this morning that his parents died in the fire. The fire was still burning this morning - and the structure in danger of collapse - preventing rescuers and firefighters reaching a badly hit cinema where many children had been watching a film. Among the missing are eight girls from one class in Treschevsky village - all 11 or 12 years old - named as: Viktoria Pochankina, Veronika Ponushkova, Elena Chernikova, Tatiana Kurchevskaya, Sergey Maneshkin, Viktoria Zipunova, Anastasia Smirnova, Diana Nizovskaya. 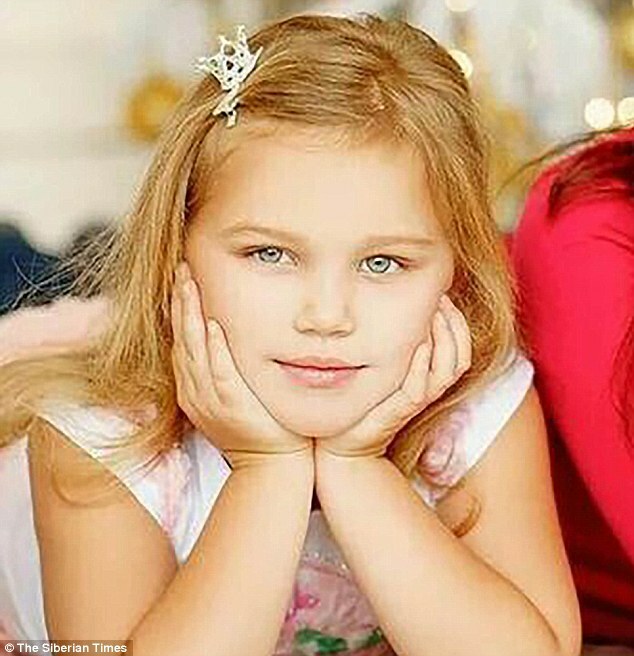 In a heartrending final phone call Viktoria 'Vika' Pochankina told her aunt: 'Everything is burning.